Finely chop the pecan and then mix all ingredients together. Roll into 1 inch balls. It's important to make all your balls ahead. When the pan is hot cook the meat balls in a single layer allowing enough room around each one to turn them. If using the oven method, lay the meat balls out on a backing sheet or stone with enough room around each one to turn them. 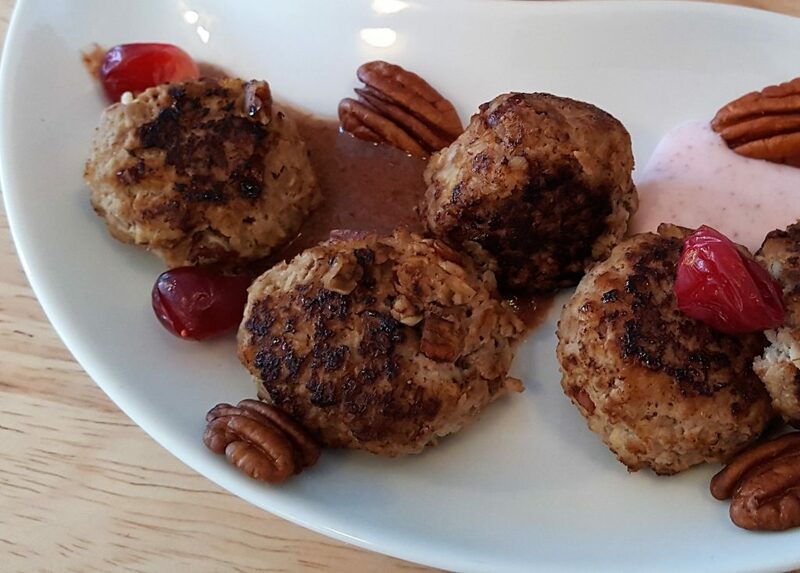 Turn each ball when they appear half cooked and continue until cooked through. 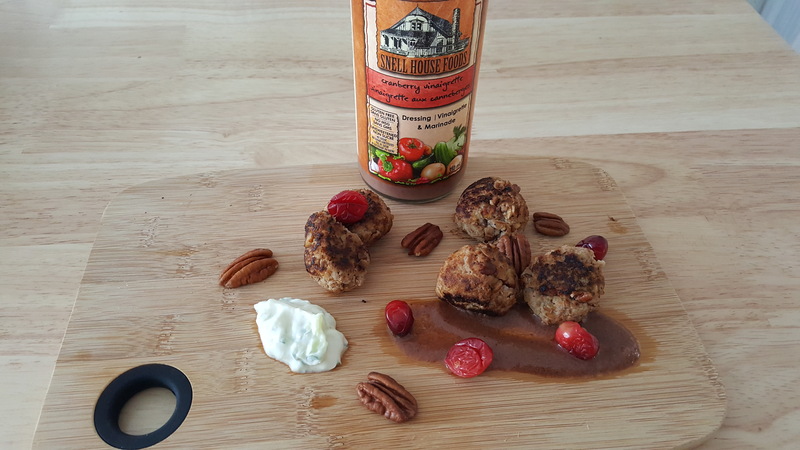 Serve with your choice of Snell House Classic Tszyki, yogurt and Cranberry Vinaigrette dip or Snell House Cranberry glaze.